Matthias Sonntag is a partner at the Dusseldorf office of Gleiss Lutz and head of the firm’s patent group. Focusing on patent litigation for more than 15 years, Dr Sonntag has pleaded a large number of cases involving patents from a wide variety of technical fields, including electronics, telecommunications, pharmaceuticals, medical devices, chemicals and mechanics. 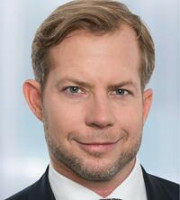 His clients, which range from small and medium-sized technology leaders to multinational corporations, benefit from his extensive litigation experience in all relevant German courts that are competent for patent disputes, including the Federal Patent Court and the Federal Court of Justice. Dr Sonntag is a Bar-certified attorney for IP law. Before his admission to the Bar, he worked for two years as a research and teaching assistant at the Institute of Information, Telecommunications and Media Law of the University of Munster and, during that time, gathered substantial technical expertise as a member of an interdisciplinary research alliance on IT security and data encryption. His legal education also includes studies at the Universities of Trier, Mainz, Geneva and Lausanne, as well as secondments to a London-based IP firm and a New York-based IP firm. Dr Sonntag is co-authoring a legal handbook on litigation in the Unified Patent Court (to be published) and is co-author of publications including the English language guide Intellectual Property Law in Germany and Litigation Standard Form Book for Industrial Property Protection, Copyright and Media Law. He is listed as a frequently recommended patent litigator by the law directory JUVE German Commercial Law Firms (2004/2005 to 2017/2018) and named a Patent Star in Managing Intellectual Property’s IP Stars listings (2015 to 2017).